Flex-a-Lite Electric Fan - Black Magic S-Blade - Dezod Motorsports Inc - Home of the automotive performance enthusiast since 2002. Computer-engineered blades run quietly & efficiently. Ring fan provides better blade support for impact resistance and water crossings. 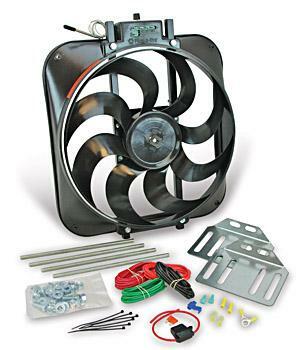 INCREASE YOUR MILEAGE by replacing the belt-driven fan!